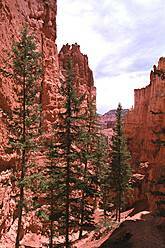 Bryce Canyon is in southwest Utah close to Zion National Park. 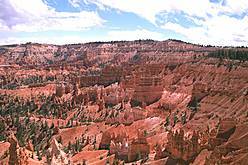 It is a bowl shaped cliff with unusual features due to erosion. 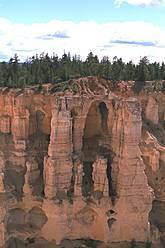 It freezes over two hundred nights a year, yet gets very little rainfall. 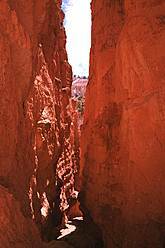 The freezing and thawing cycles erode the soft dirt except where stones cap it. 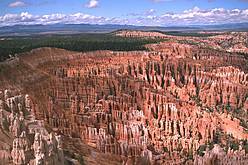 This gives deep fissures and rock formations known as Hoodoos. A nice overview of the entire amphitheater, looking from east to west.